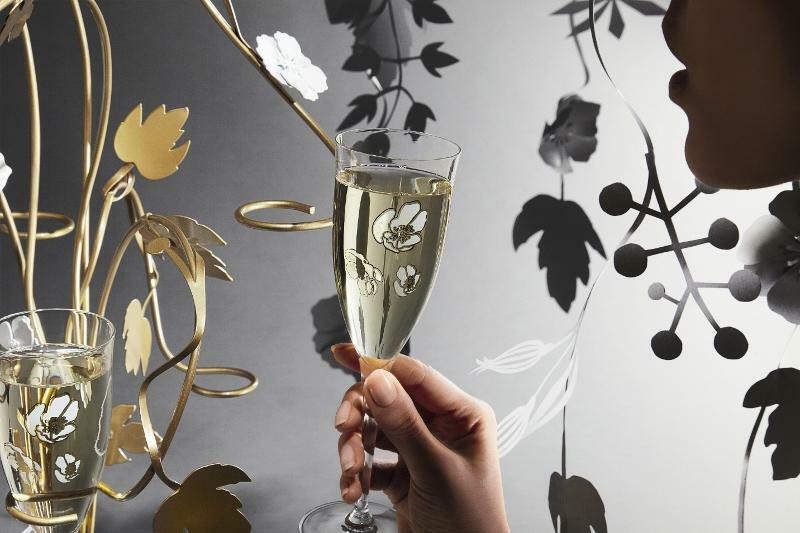 A new champagne experience by designer Tord Boontje was unveiled last week at the Saatchi Gallery in London. 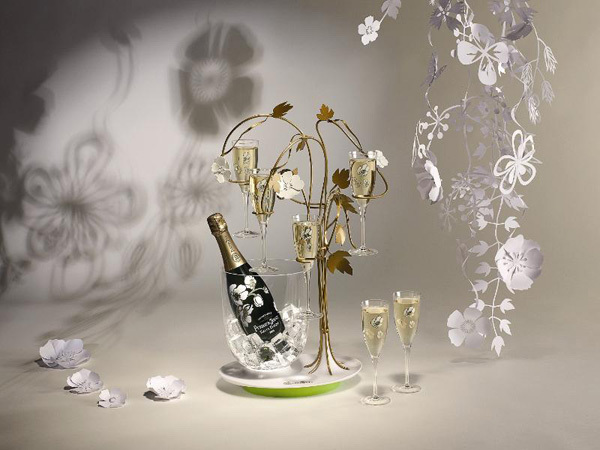 The Enchanting Tree celebrates the coming of spring by integrating Perrier-Jouët champagne into an intricate metal sculpture. Suspended golden branches hold the champagne flutes, transforming the process of serving champagne into an artistic gesture.